The pop singer and former X Factor winner attended South Tyneside Magistrates' Court to give evidence in the trial of Ennis McBride, who denies a charge of harassment. The court heard that McBride, 53, from Stockport, turned up at McElderry's house on more than one occasion and sent him abusive tweets. It was said that on September 11, 2011 McBride knocked on McElderry's front door while he was having a bath. A friend answered the door and said he was not available. McBride then went round to the singer's old house and spoke to McElderry's mother, Eileen Joyce, and accused Joe of being a liar. Describing the incident, McElderry said: "I was feeling quite shaken and confused, and a bit creeped out. "My mum sounded very alarmed and distressed and told me to lock the doors." Then on December 24, 2011 the court heard that Ms Joyce saw McBride in Asda and later that day he was arrested at their home. 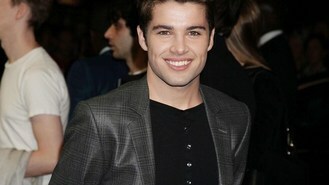 McElderry said: "My mum rang and said the stalker is back and he's in Asda. She sounded really upset but she was more concerned where I was and if I was with anyone. "After that I went and locked the door. We spent the evening writing out our statement when suddenly a police van pulled up and he was put into the van. "I felt intimidated that someone would be standing in the dark outside my house and scared because it was Christmas Eve and it was the last thing I wanted to think about. "I understand that I'm on the public platform and I appreciate the support I get but I don't think I should be made to feel unsafe in my own home."